On a hot summer day, nothing beats a good plate of cold Asian noodles with peanut sauce. 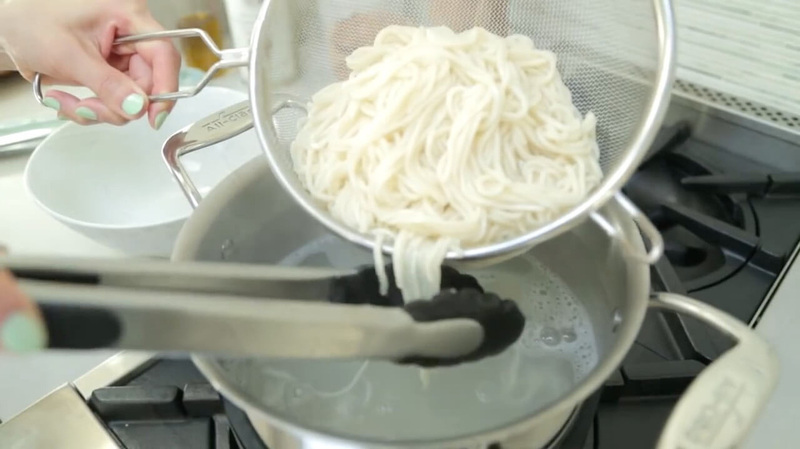 Well maybe sushi does, but when you can't have sushi, these noodles are also satisfying. 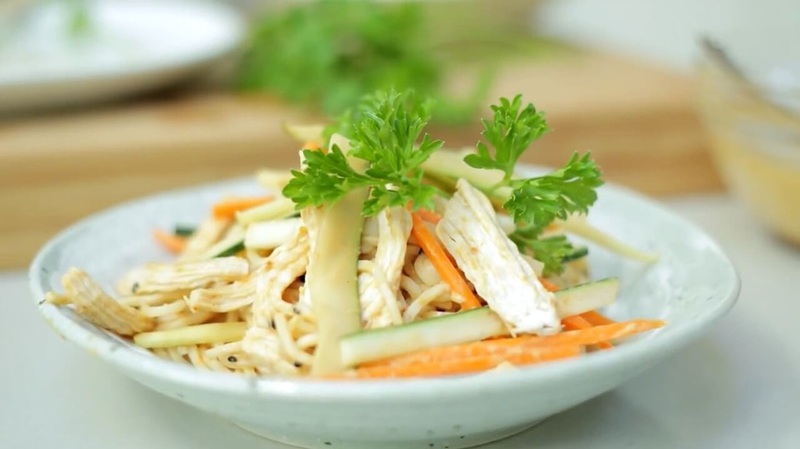 Taiwanese style cold noodles also known as Liáng miàn (涼麵) is usually served with a homemade peanut sauce, sesame sauce, or a combination of both. Served cold with some fresh vegetables and cold chicken, this is a great dish to beat the heat. Tip: Cook your chicken the night before and store in the refrigerator for easy assembly the next day. Or you can quickly chill the cooked chicken by putting it in a dish of ice water for a few minutes. Ready in Total Time: 30 min. 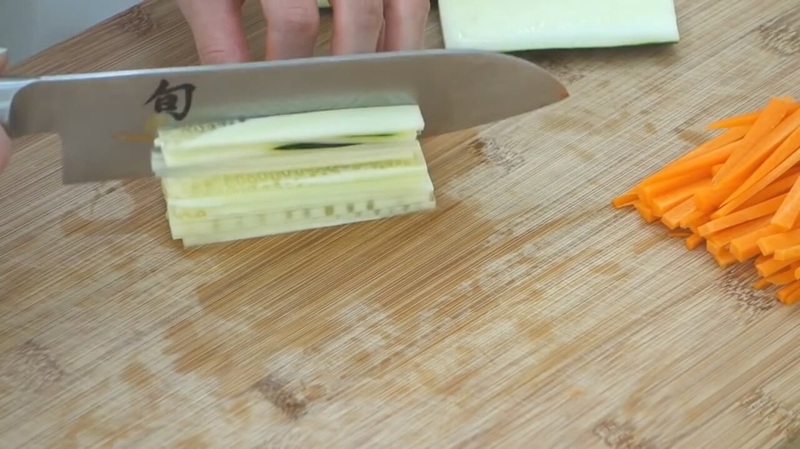 Cook the chicken for 3 - 4 min. on each side, or until done. Cook the noodles according to the package directions. Fresh noodles usually take about 3-5 min.